Welcome to the website of Windows of Heaven Ministries (WHM). WHM is a Bible based, non-profit ministry whose purpose is to glorify God by assisting missionaries and church planters across the globe with their spiritual, emotional, physical and financial needs. 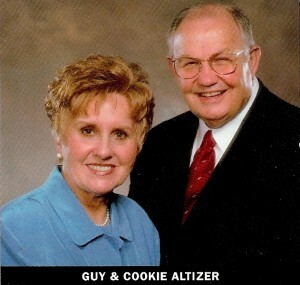 This ministry was founded in 2003 by Guy and Cookie Altizer and has touched the lives of many faithful servants of God across the world, from North and South American to Europe, to the Far East, Pacific Basin, and Africa. If you have questions about this ministry or would like more information, please contact us.